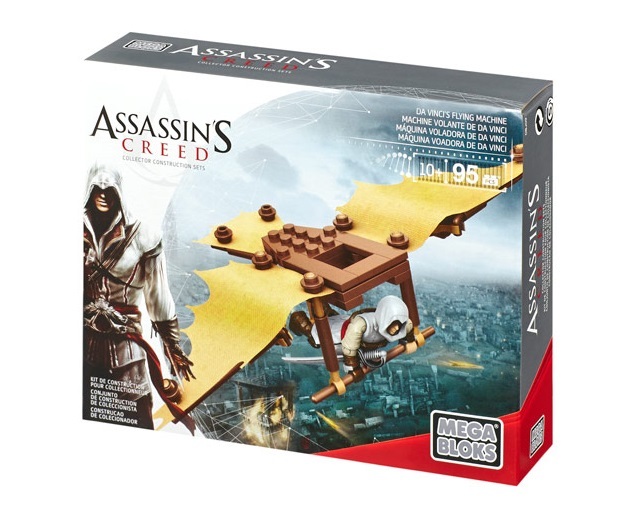 More MEGA Bloks, and yet another product line; this time Assassin’s Creed. 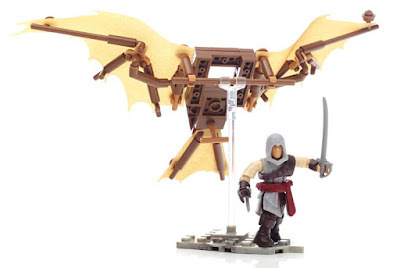 Whereas the Halo and Call of Duty lines of building sets are all about futurist and gritty war, the Assassin’s Creed sets are bit more Oldie Worldie. That is no better demonstrated than in the Da Vinci’sFlying Machine set. Introducing the named character (which is always nice to get in a MEGA Bloks set) Ezio Auditore. This flash chap is an awesome little figure, being based upon the same modern micro action figure system that came with the post-2014 Halo sets. Yes, the ones we bloody love. Ezio, and apparently all Assassin’s Creed figures, are a touch different to the figures in the other product lines (just like how the astronauts in the ODIN set were slightly different to the Halo toys). The most noticeable difference is the use of soft-rubber clothing and accessories. Ezio’s red sash is actually a very flexible sword holder, which both keeps the weapon secure while letting you move it around to get it out of the way of the figure’s arms. The rest of his outer layer clothing (all of which can be removed and swapped out) is also flexible, allowing you to pose him in very convincing and realistic positions. The flying machine itself is actually very special, as although it recreates a vehicle used in the game, it is also a very faithful model of Da Vinci’s real sketches. This makes the set desirable to those of us who might not be all that bothered about Assassin’s Creed (or indeed MEGA Bloks), and popping this on your desk will certainly garner a few interested comments. As you can see the glider uses three separate canvas-like pieces of cloth for the wings and the tail. The underside shows how it is all put together. Thin pole parts and small clips create the shape of the wings, and the body is made from mostly single-row plate pieces. A great choice of colour, as well as a touch of texture in the plastic, makes it appear very woody and authentic. Of course, dear Ezio can fit in there, happily gripping the cross bar. Due to the shape of the figure, and the position that he needs to get into, you tend not to be able to see his face all that much. Luckily MEGA saw fit to include a simple stand consisting of a small base plate and a long transparent rod with a clip at the end. You can tilt the glider quite far backwards, and there is enough tension in the clip to hold it still. As you can see from the side, Ezio is held in quite comfortably and naturally thanks to a small T-bar piece at his feet. Getting him in and out of the flying machine is also easy as pie, as his hands are the only parts that physically connect to the model. And there’s still enough space for him up there to be posed and moved around a little. Even at a lower angle, with Ezio’s face partially concealed, it still looks really cool and very Assassin’s Creed-y. Wave hello! 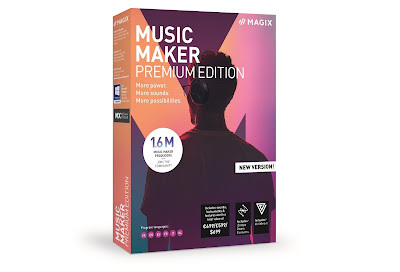 This is a cool little set that will provide you with not only a decent toy and figure, but also a very attractive model. Although the parts are mostly poles and clips, Ezio is an excellent figure, and being a named character will make him highly sought-after by collectors, especially considering that the set has now been discontinued by MEGA Bloks (as has the Assassin’s Creed line, as far as we can tell).